Tickets start at $265 for 3-day admission, but you know that’s worth it. With multiple stages, outstanding art and more experiences than you can shake away from some hipster’s selfie stick, LIB is one of those Vegas events that just keeps getting better. Check out the full list of performers below. 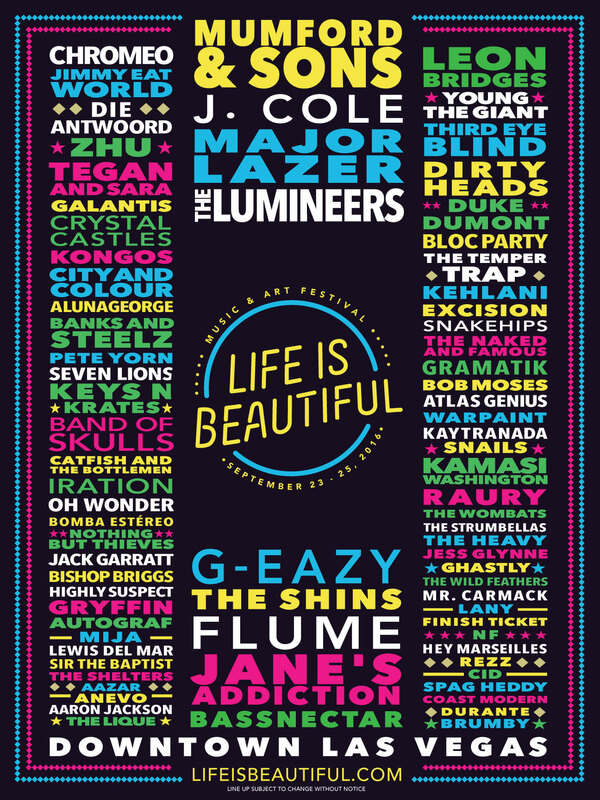 We can’t wait to see you Sept. 23 – 25 at Life is Beautiful.